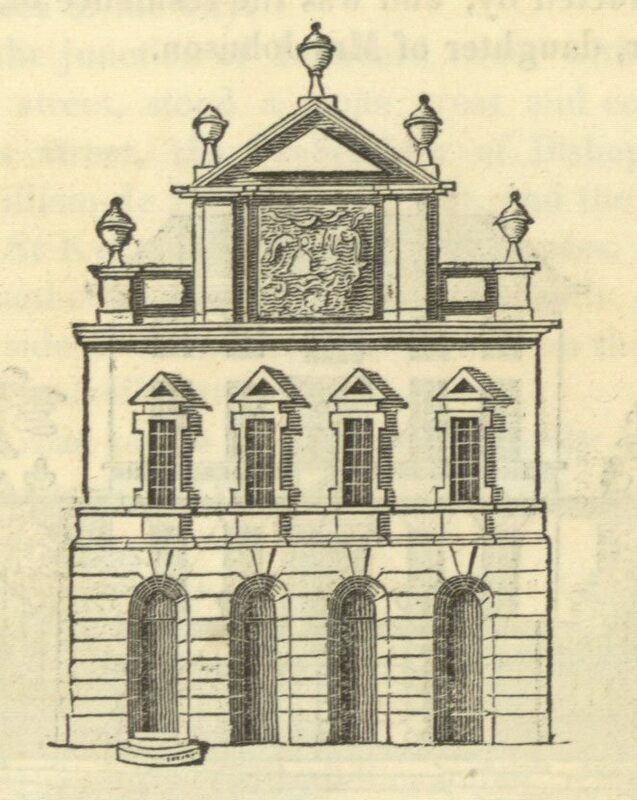 Lichfield’s Theatre was opened in Bore Street in 1790 and designed by James Miller. The playhouse was evidence of Lichfield’s importance as a venue for cultural events. It was not financially successful and closed in 1871. Image from: T G Lomax, A Short Account of the Ancient and Modern State of the City and Close of Lichfield (Lichfield, T G Lomax, 1819).